NELSON IRRIGATION CORPORATION’S R33 Rotator® Sprinkler received the New Product Award for Agriculture from the Irrigation Association at the recent show in San Antonio. The IA’s New Product Contest entries are judged based on product innovation, water conservation, design quality, ease of use, cost savings, time savings and user risk. 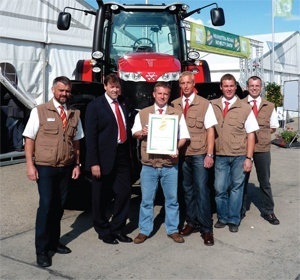 The MF 8690 tractor has been awarded a Gold Medal at the Innovations Awards at Germany’s Demopark show. 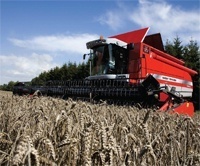 The success of the harvest is a major factor in the financial results of many farms, and in some cases combinable crops provide the farm’s entire annual income, which is why the skill of the combine operator has such an important part to play.